An observational documentary exploring the pleasures, strains, and choreography of group tourism in Peru. Structured in static, formal tableaus, the film explores the tension between the commodification of Andean culture for foreign consumption and the universal desire for new experiences and adventure. "The experimental documentary filmmaker Kimi Takesue has developed a distinctive style marked by a striking sense of composition, color, and understated observation." "Tension arises in the film's still tableaux, in which vast landscapes are dotted by migratory patterns of curious, bored and intrepid wanderers. A sense of gentle circumspection, rather than cynicism, attends Takesue's radically observational mode of filmmaking, a protracted gaze in which time and place assume precedence." "In long, static shots of great formal beauty, Kimi Takesue takes a sincere look at the tension between the commodification of Peruvian culture and the universal craving for new, exotic experiences. 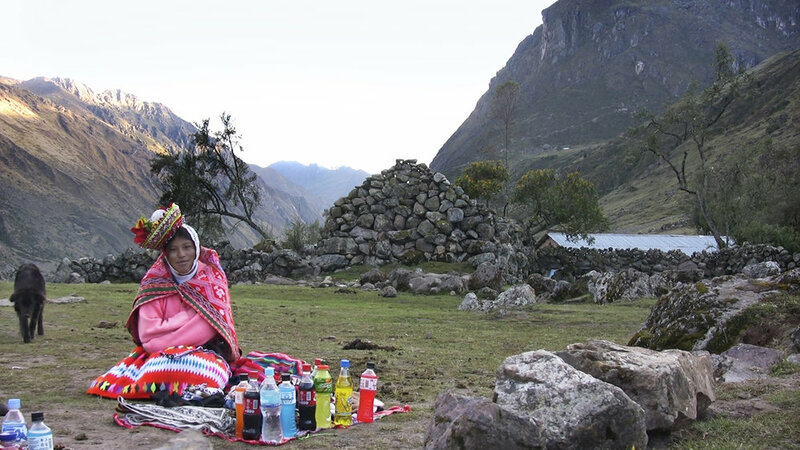 Under the watchful camera, cultural elements from llamas, fabrics and dances to meals, ruins and living people turn out to be available for visitors’ amusement – and formatted, conditioned and monetized accordingly. 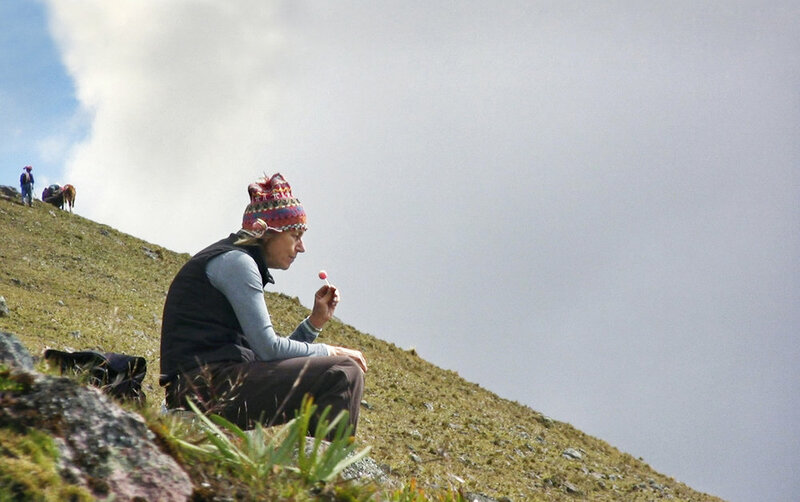 What’s left is the Andean scenery, shown here in its spectacular, humbling glory, dwarfing the endless parade of tourists." "Looking for Adventure also critiques industrialization—specifically, the tourist industry… The film’s title should therefore likely be seen as playfully ironic, especially when tourists photograph themselves in restaurant mirrors. Takesue includes herself within the joke. The fixed, distant setup of many of the shots is so formal as to announce the off-screen presence of the filmmaker."